As part of London Design Week Adaptavate were invited to speak at an event held at Sustainable Bankside entitled Sustainable Design, Inspiring Workspaces – an evening of stimulating talks on the future of suitable design and the evolution of the flexible workplace. Sustainable Bankside is the latest venture by Sustainable Workspaces CIC – a company that’s established the largest collocated community of sustainable startups in Europe with an abundance of innovation and groundbreaking design taking place across their sites. Breathaplasta has been used extensively throughout their office renovations as part of their drive to meet the very highest standards in health, wellbeing and sustainability. 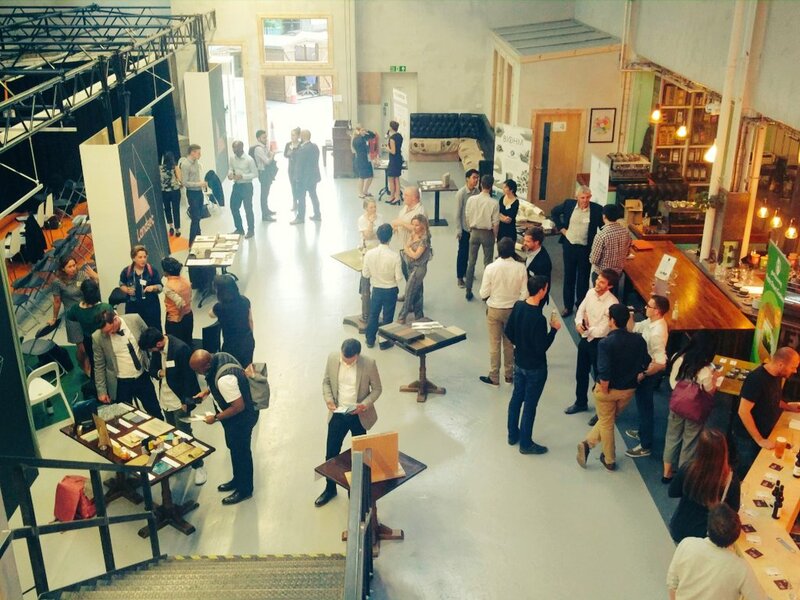 The event, which took place on Wednesday 19th September, featured inspiring debate on sustainable construction and materials innovation, examining how the office spaces of the future might look, feel and function. Joining hosts Sustainable Workspaces were an eclectic mix of inspirational start-ups as well as more established names like Landsec, the largest property company in the UK. Landsec embedded their innovation team at Sustainable Bankside and have built labs within the space to look at the future of construction. Also speaking at the event were Liam Spencer of Thirdway Architecture, Dr Aidan Bell of Envirobuild, Tara Button of BuyMeOnce, Sabrina Palme of Gartenzwerg Technologies and Ehab Sayed, Founder and Director of Innovation at Biohm, a company also innovating in bio-based construction materials. Adaptavate Founder, Tom Robinson took to the stage to present ‘the future of building materials: bio, beautiful and bloody good performing’ to highlight how bio-based materials have the ability to transform construction and bring about healthier and more sustainable spaces. “It was really great to be part of a dynamic event where big companies and small companies alike are challenging the status quo and thinking creatively about how the office spaces of the future might look, feel and function with better, higher performing and more sustainable materials”.